Earlier this month, The Academy of Europe’s Council endorsed Indiana University School of Public Health-Bloomington Dean David B. Allison’s election to membership of the academy. The academy, whose members include scholars and scientists from around the world, promotes the advancement of excellence in a number of scholarly areas. The Academy of Europe was founded in 1988, and is comprised of leading experts from a number of science disciplines, the humanities, economics and law. Allison joined the IU School of Public Health-Bloomington in August 2017 after most recently serving as associate dean for research and science in the School of Health Professions at the University of Alabama at Birmingham. While at UAB, he was also a Distinguished Professor, the Quetelet Endowed Professor, director of the Office of Energetics and director of the NIH-funded Nutrition Obesity Research Center. Allison is an elected fellow of the National Academy of Medicine, one of the most prestigious medical societies in the world. 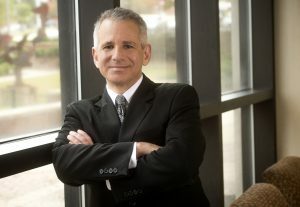 His research includes a breadth of activity — including basic science using drosophila (fruit flies), rodent models, epidemiology, human clinical trials, statistical methodology, meta-analysis, mathematical models and human behavioral research — and engages in cross-disciplinary collaborations with scientists from many academic backgrounds. Allison received his Ph.D. in clinical and school psychology from Hofstra University in 1990; his master’s degree in clinical and school psychology at Hofstra in 1987; and his bachelor’s degree in psychology at Vassar College in 1985.